Making informed decisions in the planning stages builds a solid foundation for your project. Preflight, a term that prepress professionals adapted from aeronautics, refers to the process of stepping through a systematic list of quality-control checks on your project before the final output stage. 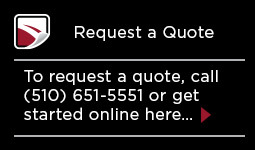 This section of our website is designed to help guide you through this process. Are My Art Files Ready For Printing? SPECIFY FONTS: Font issues are the most frequent interrupters of work flow. Be sure to specify all fonts used in the creation of your documents. Cellotape owns over 2000 postscript fonts so it’s likely we have the font needed, but any unusual fonts should be converted to curves and saved as an illustration. INCLUDE IMAGES: Include all placed/embedded image files needed for the output of your project, as they may need to be modified to accommodate the production of your labels. All four-color process images should be scanned or created at 300 dpi or higher in order to achieve the best quality color separations. IDENTIFY SOFTWARE: The software used to create your file may not be easily recognized when we receive it. In order to maintain the integrity of your file and aid in troubleshooting any problems that may occur, we prefer to open files in the program they were created in. Please provide your Products Consultant or Customer Service Rep with a file name and identify the program used prior to sending a file. PROVIDE A PRINTOUT: Providing us with a printout of your file will aid us in determining that what we received is the same as what you see on your screen. All measurements for folds, perforations, die cuts, etc., should be indicated on this printout or on the technical drawing. AVOID THIN LINES AND SMALL TYPE: Print quality will vary depending on the font style and size, and whether it is printing as a reverse or positive copy. 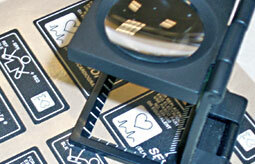 If it is difficult to read on your laser printout it is likely to be difficult to read on your label. Cellotape’s “print to cut tolerance” of +/- .015 inches should be kept in mind when creating bleed borders and formatting text to the edge of the label. DO NOT COLOR-SEPARATE: Cellotape’s Art Department works closely with the Production Department to create bleeds and color separations needed for the wide variety of printing options available to you. So there is no need to create separations in your files. Your artwork file should be a 1-up representation of the finished label. These programs are vector-based drawing applications used for creating “Line Art”. Such as logos, icons, and text that are resolution independent and can be printed at any resolution the output device is capable of, maintaining crisp clean lines to film, plates, and press, making them the ideal choice for your labeling projects. Give us the artwork in its native file format along with any placed images (even if embedded). Adobe Illustrator for Mac is preferred. Scanning or creating and editing “Photograph type” images that cannot be drawn with vector drawing programs are done with this type of software and will usually be printed as a halftone, duotone, or 4-color process. 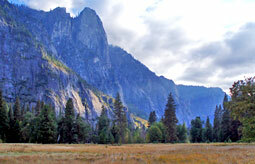 These types of images are resolution dependent and can appear jagged and lose detail if enlarged or printed at a higher resolution. Scan or create this image type at 300 dpi or higher and provide the native file format at 1 to 1 size or larger. This software is used for creating technical drawings, blueprints, and die drawings in an engineering environment. Although vector based, they are not native postscript files and importing them for artwork can yield poor results. Also, AutoCAD fonts (.shx) are not usable in graphics programs. .dxf, .dwg files are preferred. Use TrueType fonts if possible. Barcodes can be created several different ways. Barcode Pro saves files as .eps files that work well for importing into your artwork. If a barcode font is used, you will need to provide the font or convert the font to curves in order to be sure that your barcode reader scans it properly. Documents of this type are used for distributing to a wide variety of users because the software is commonly used. Word documents can be a reference to layouts, color breaks, and the general appearance of the label. however they are not considered as artwork files. Postscript (.ps) These formats can be saved or exported from a variety of programs and their usability depends on the application used to create the file. When supplying these file formats please indicate the software used to create the artwork. Portable Document Format (.pdf) This is a versatile format that can be distributed and viewed predictably by many users with Acrobat Reader. Its usability for artwork not only depends on the application used to create the file, but also on how the PDF was generated. It is suggested Acrobat Distiller be used to create a PDF file in order to maintain all the postscript qualities of the original. Please indicate the software used to create the original file when sending files in PDF format. (.gif, & .jpg) These are rasterized image formats generally used for online presentation such as the web. These files take advantage of built-in file compression that keeps file size small. Because of this there may be unexpected results when printing, therefore not preferred. How Do I Send My Files to Cellotape? 3) Upload your file(s) We no longer accept physical media (discs). All files must be transferred to us online at http://upload.cellotape.com. Your signature is your approval to release the proof for production. Check the proof carefully and send back the signed approval as soon as possible. Colors shown on the proof are only a representation of how the colors break and are not intended for use as a color match. It is recommended that you send a color standard if colors are critical. For four-color process jobs printing digitally, it is suggested you accept a press proof for more accurate color representation. Sometimes it is necessary to modify the supplied artwork in order to accommodate the printing process or comply with supplied specification drawings. Read all notes in the area around the artwork carefully and indicate if they are acceptable. The artwork should only be considered as an approximate size. The bottom section of the proof has an actual size noted as well as color callouts, material, unwind direction, etc. Die tooling proofs can also be provided as PDF files if required. 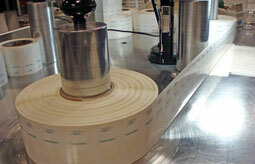 If your labels are to be provided on rolls, it is important for us to determine your unwind direction. In many cases the unwind direction is dictated by automatic label applications. However, the label unwind direction can influence many other aspects of the production process. For example, if your labels are to be applied by hand, choosing an unwind that is compatible with one of our standard dies could help reduce the manufacturing costs of your labels. 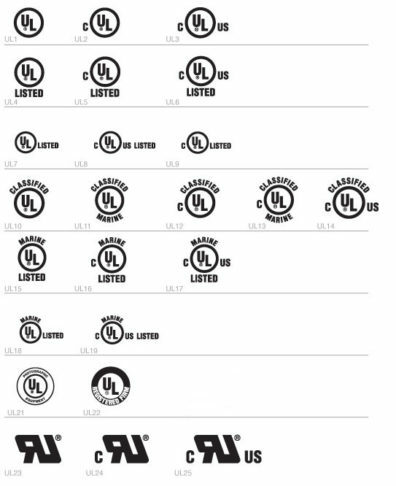 Use the chart below to choose the unwind direction that is suitable for your application. 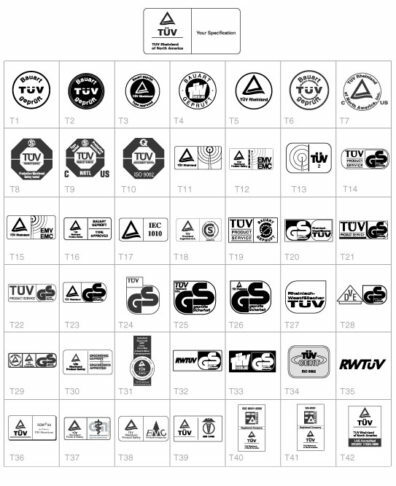 Standard memory card types & label sizes are shown in the die tooling chart below. 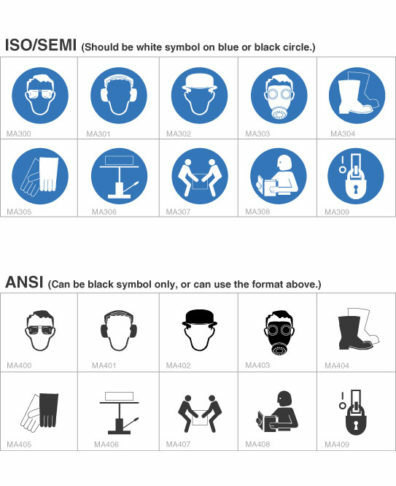 Below are two different label layouts to assist you in constructing safety label designs that are compliant with ANSI Z534.4 and to help identify some of the differences between ANSI, SEMI, and ISO label formats. Indicate whether your label is horizontal or vertical. Provide the “W” and “L” dimensions in inches. For example: W = 2 inches, L = 1 inch. Specify the label material required. For example: .002 white polyester with Flexcon L-23 adhesive or equivalent. Laminate with .001 transparent matte polyester. 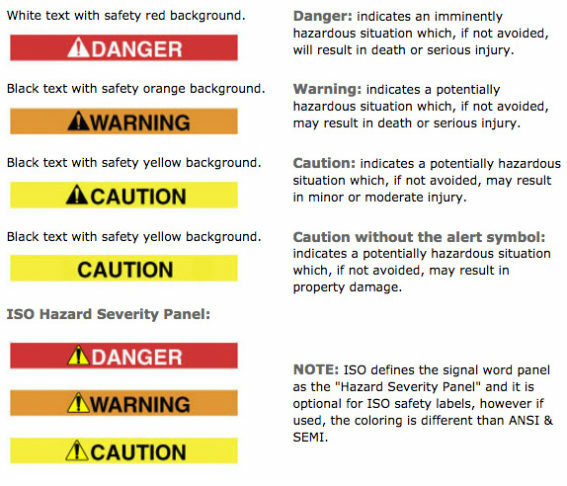 Indicate “Signal Words” to be used according to the severity of the hazard. Specify text required in the “Word Message Panel” of the label. Specify whether an “identifier” is needed. The identifier is usually a part number and is optional for ANSI (required for SEMI). • Two panel labels without a symbol. 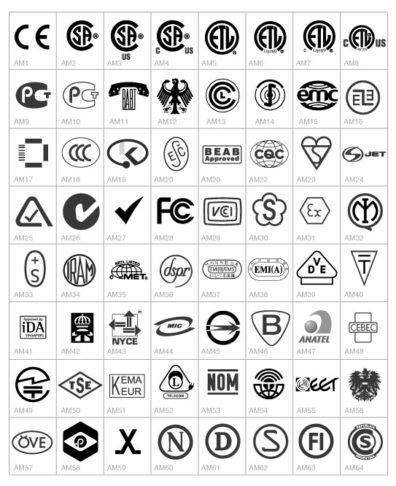 The pages below contain over 130 symbols and agency marks that you can reference when ordering labels. 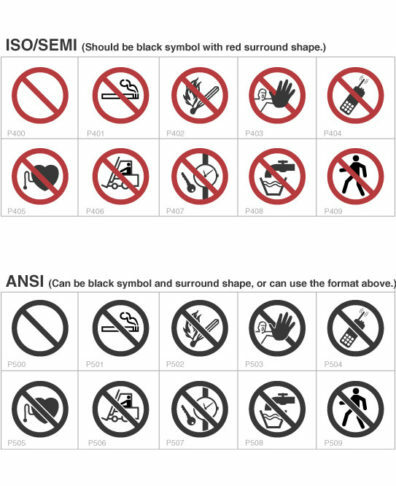 Cellotape has taken every effort to create these symbols within the guidelines of the respective agencies where possible. The customer is ultimately liable for proof of compliance. Ready-Ship™ Stocking Program – We inventory your labels and overlays at our location for shipment to your (or your contract manufacturer) manufacturing facilities on predetermined dates. Bin Stocking Program – Cellotape can manufacture, deliver, and restock inventory bins at your local facility. Display and re-order points can be maintained by Cellotape. Floor Stocking Program – Through our partnerships in various locations, Cellotape can manage label inventories for customers. We can implement a custom Vendor Managed Inventory (VMI) program for your company suited to your needs. The program can include checking inventory and restocking at regular intervals, preparing label inventory reports, and providing audit assistance. 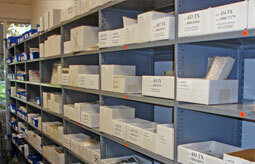 Kanban Programs – At our facility, Cellotape can manufacture and store inventories that can be available on a Just In Time (JIT) basis. We can accept releases via phone orders or EDI Online orders. 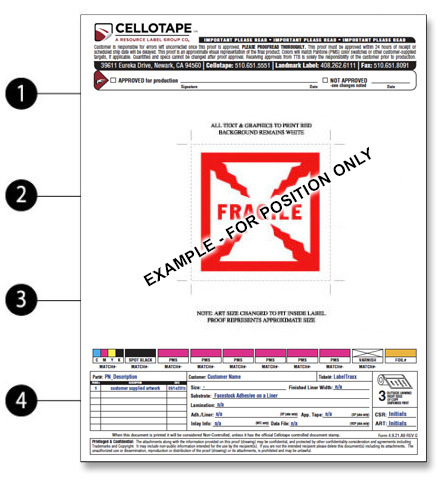 Consignment Stock – Cellotape can manufacture labels or overlays on a consignment basis. Inventory may be stocked at either your facility or at our plant. To obtain more information or to set up an inventory program, click info@cellotape.com or contact: Tom Norman Customer Service Manager at (510) 651-5551. Testing agency requirements can often be very complex. Our broad range of experience and close work with agencies allow us to offer you the right solution for your compliance needs. We have developed a large pool of UL-recognized and CSA-accepted constructions, saving you time and money. Thanks to our wide selection of agency-recognized materials and unparalleled focus on quality, we can prepare your designs to exceed UL, CSA, ETL, TUV, VDE and other requirements. There is worldwide concern about the impact of hazardous substances on the environment. These substances may be introduced into the environment when electrical and electronic components or other manufactured goods are disposed. 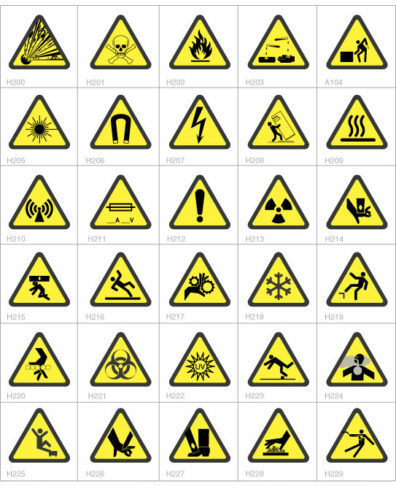 A number of laws have been enacted requiring that manufacturers identify and limit their use of hazardous substances. These may also mandate recycling, reclamation or safe disposal of products containing identified substances at the end of their life cycle. We at Cellotape fully support these efforts. To assist you in complying with these various requirements, we have created a database of customer parts and specifications, materials and substances. Our Customer Service Representatives and Products Consultants use this database to determine whether a given part meets your requirements. Our database is updated on a continuous basis as new products are added. Directive 2002/96/EC on Waste Electrical and Electronic Equipment (WEEE). WEEE makes manufacturers of certain types of equipment liable for the reuse, recycling, or recovery of that equipment at the end of its life cycle. The Joint Industry Guide of the Electronic Industries Alliance (EIA) ET. Al. 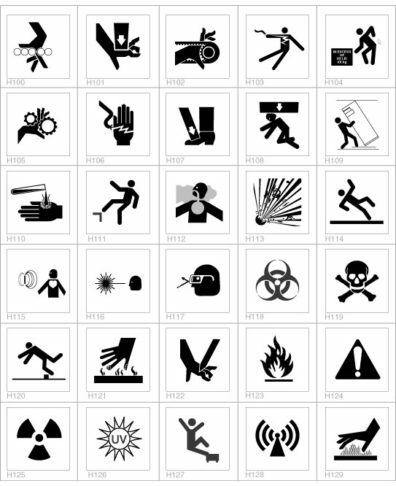 Certain marking symbols have come into wide use in meeting environmental compliance standards. 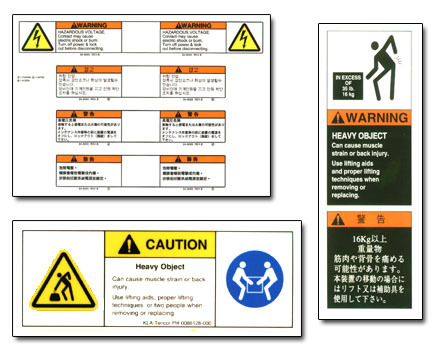 Cellotape has created a highly recognizable symbol that may be used on labels to identify a package’s content as being RoHS Compliant.